Floating Dock Kit - 10 x 24 ft ~ Dock Accents, Inc. ~ Dock Accents, Inc. Floating Dock Kit - 10 x 24 ft ~ Dock Accents, Inc. 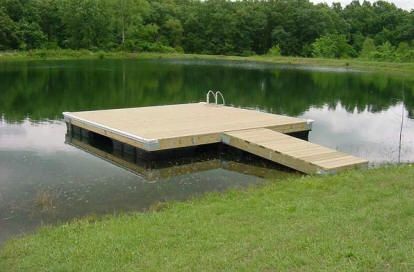 Floating Dock Kit - 10 x 24 ft ~ Dock Accents, Inc. 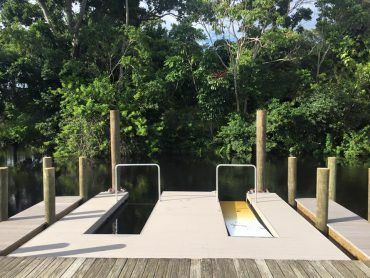 The 10 x 24′ Wood Floating Dock Kit includes: 14 – 2×4′ x 12″ dock floats; 8 Angles; 4 Inside Corners; 148 SS Lag Bolt w/washer sets; Material List for all lumber required by customer (to be purchased by customer locally) and Instructions & Diagrams.